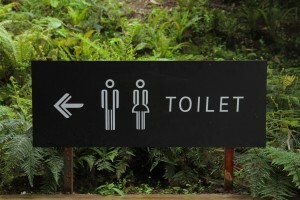 First and foremost, start with my blogs on How to Prevent Leaky Gut, Leaky Gut Basics, and The 9 Causes of Leaky Gut. You won’t be able to heal your gut until you find out and remove the cause. In order for your gut to heal, you will most likely need to uncover any food sensitivities through an elimination diet, remove processed foods from your daily diet, cultivate good stress coping techniques, have good food hygiene, and be mindful that you aren’t over-training. Seriously, how could I do a series on Leaky Gut and not talk about stool testing?! Consider working with a qualified practitioner to see if you have any underlying gut infection or severe dysbiosis that may be contributing to inflammation. This is often done through stool testing… not the most fun thing for patients to do as it usually involves collecting several samples over a 3-10 day period. However, it can yield all sorts of useful information about fungal (including candida), viral, and bacterial infections. A good panel should look at three samples and include not just evidence of infection but markers of inflammation, immune activation, pancreatic function, occult blood, and information on the balance of normal gut bacteria. None of the tests out there are perfect; I find Doctor’s Data to be one of the best. This type of specialized stool testing is more extensive than the O&P (ova and parasites) run by most conventional MDs, including gastroenterologists. If a gut infection is found, this needs to be dealt with before healing a leaky gut. A dose of 5 grams 2-3 times per day will help feed your enterocytes and keep them healthy. I like to use a powder of pure glutamine from Klaire Labs. It takes a lot of caps to reach a therapeutic dose and most contain unnecessary fillers. Glutamine has been shown to protect the gut’s integrity after surgery (1). Glutamine is important for the function of tight junctions (these are what keep the cells of the GI tight together, aka not “leaky”) and glutamine deprivation impedes their ability to stay “tight” (2). Glutamine is very well tolerated; I don’t think I have ever seen an adverse reaction to it. This supplement is especially great for athletes as it has been shown to prevent the intestinal permeability caused by over-training (3). Colostrum fights inflammation and improves tissue healing (4). Aside from leaky gut, I use it to promote better immunity. 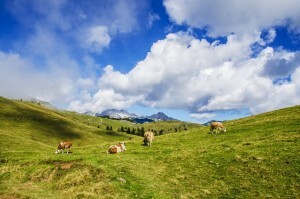 It is preferable to choose a source of colostrum from grass-fed cows. Good quality fish oil is anti-inflammatory and omega-3 fatty acids have be shown to support good intestinal barrier integrity (5, 6, 7). I prefer CLO over regular fish oil because of the vitamin A and vitamin D content. Both of these vitamins have also been shown to support a decrease in intestinal permeability (8). Carlson’s is a good brand and can be bought at a discount from Vitacost. It is important that CLO be of very good quality; rancid fish oil that has been treated with chemicals won’t do your gut any good. Bentonite clay has been a standby for detox and gut health in the natural healing community for decades. Other edible clays (diosmectite, montmorillonite, and illite) have been shown to be protective against an increase in intestinal permeability damage from toxins produced by molds (9). Zeolite, which has properties similar to those of edible clay, can improve leaky gut as well as decrease levels of zonulin. (Remember, gluten increases zonulin, so edible clays are a good go-to if you are accidentally glutened). Clinically, I use Terramin, a mineral rich edible clay from California. Suboptimal zinc levels are something I commonly encounter in my practice. A deficiency can make the gut more leaky (10). Supplementation with high doses of zinc have also been shown to repair the gut and decrease intestinal permeability (11, 12). Doses over 15 mg/day should not be taken long term without considering supplementation of copper. EGCG (epigallocatechin gallate), a powerful antioxidant found in green tea and in even higher levels in matcha, is anti-inflammatory and can prevent increases in intestinal permeability from some sources (13). Depending on the patient, I may suggest a green tea extract supplement or simply have them drink green tea or matcha. If “anti-biotics” are “against bacteria,” then the “pro-biotics” are “beneficial bacteria.” Research on probiotics shows some of the strongest evidence for healing the gut (14). Intest-gen is a combination herbal product from the company, Seroyal. It contains English walnut, rosemary, and lingonberry. These herbs in combination help support the function of the pancreas, a healthy gut lining, good nutrient absorption, and balanced flora. Obviously not a supplement, but important because alcohol increases intestinal permeability. It is a good idea to avoid it completely for a few weeks while healing the gut. There are many other substances that have been shown to help correct leaky gut: the fatty acids butyrate, propionate and CLA; the amino acid tryptophan; quercetin; and curcumin. It isn’t necessary to prescribe or take all of these in order to heal a leaky gut. After the first steps have been taken (removing processed foods and food sensitivities, stress control, checking for and treating gut infections, etc. ), I will choose just a few key supplements, individualized to each patient’s need. 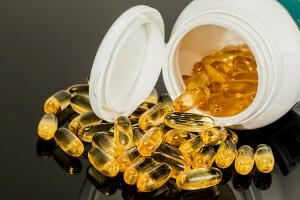 Most of my patients take cod liver oil and probiotics as foundational supplements, so I usually limit my prescription to 2-3 more items for leaky gut. The goal is that all of the supplements should serve other needs of the patient as well. For example, if a patient is also showing signs of mineral depletion, Terramin will be a good choice for them. If the patient is struggling with immune function, colostrum is an option. 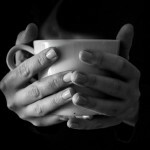 In a patient who needs to lose weight and to boost antioxidants, green tea extract will be a part of her prescription. Gut healing nutrients should be taken for 3-4 weeks. Remember, to keep your nicely healed gut, you’ll want to follow my leaky gut prevention recommendations. I have been trying to heal of which I believe to be leaky gut. Fatigue, bloating stomach, swallon ankles and just not feeling up to par. Looking for help on possible life style changes to fix, flatten and change behaviors. Eating right, yoga and working in balance and still seem to have issues. HELP! My friend from claifornia mentioned the following – Ulan nutrition. Looking forward to hearing from you. 20 pounds heavier than I have been since giving birth to my children! 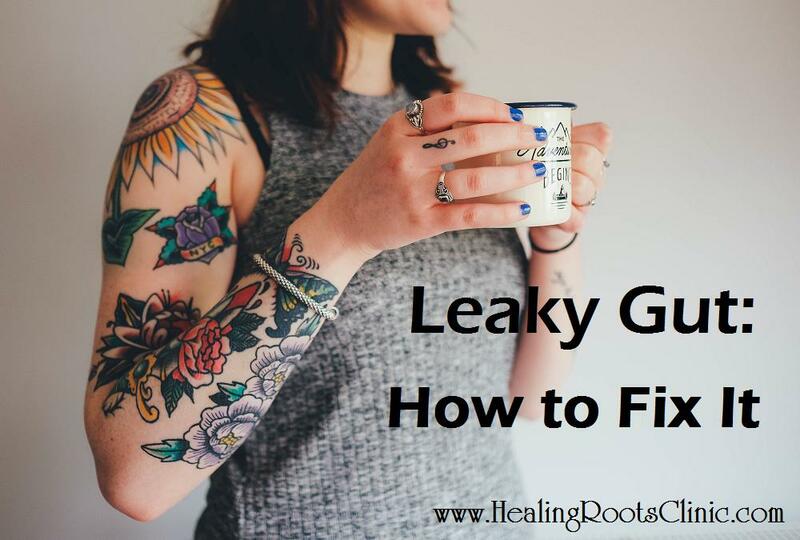 I have had leaky gut in the past and believe it’s back due to not taking care of myself. It takes me days to have a bowel movement and I’m always bloated. Also my eczema is really bad on my hands. Help? This entry was posted in Autoimmune, Detox, immune, Infection, Leaky Gut, Natural Medicine, Nutrition and tagged Fix Leaky Gut Denver Colorado, natural medicine denver colorado, naturopath doctor denver colorado. Bookmark the permalink.